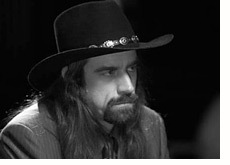 Is Chris Ferguson One Of The Greatest Tournament Players Ever? When you think of the top tournament players in the world, who do you think of? Daniel Negreanu? Phil Ivey? Phil Hellmuth? If you were to create a list of the top five tournament players in the world, would Chris "Jesus" Ferguson be on that list? If not, then I have to ask the question: why? In my opinion, Chris "Jesus" Ferguson is, without a doubt, one of the top tournament players in the world. He may not put in the volume that other players put in, but his results have been eye-poppingly strong regardless. He currently sits with nearly $7.5 million dollars in lifetime tournament earnings, and could potentially move over $9 million dollars with a victory at the 2009 LAPC main event. Ferguson is currently sitting fifth in chips about halfway through day 5 of the LAPC Main Event, and looks to be well-positioned to make the final table of the tournament and possibly win. With a victory, Ferguson would move into 11th on the all-time money list, ahead of players such as Men Nguyen, Carlos Mortensen and Paul Wasicka. Ferguson's lifetime results are extremely impressive. He has five World Series of Poker bracelets, including a victory at the 2000 WSOP main event. In addition to the five bracelets, Ferguson has also cashed in 57 World Series of Poker events. "Jesus" is also the only player to EVER win three World Series of Poker Circuit events. Ferguson won the Lake Tahoe main event in 2007, the Harrah's Las Vegas main event in 2005 and the Harrah's Rincon main event in 2005. In my opinion, Ferguson's most impressive stat is the fact that he made the finals of the National Heads-Up Poker Championship three out of four years. He finished in second place in 2005 (to Phil Hellmuth), second in 2006 (to Ted Forrest), and first in 2008 (where he defeated Andy Bloch). Ferguson has compiled an enviable record of 16-3 in National Heads-Up Poker Championship matches during his career, and will be looking to defend his title in a couple of weeks. When you are formulating your list of the top tournament players of all-time, don't forget Chris "Jesus" Ferguson, as he certainly deserves to be there.